It's been a crazy-fun whirlwind over the last few days. I am just happy that I could squeeze in some pics of this outfit from my trip to L.A. I seriously felt like Miley Cyrus and have been singing "Party in the US" for the past 2.5 days. I promise to share more of why I visited soon. It's insanely late or early...whatever you want to call it. Short and sweet today. Thanks for following along on Instagram, for the comments and emails this week. My internet & social media buds are the best! P.S. 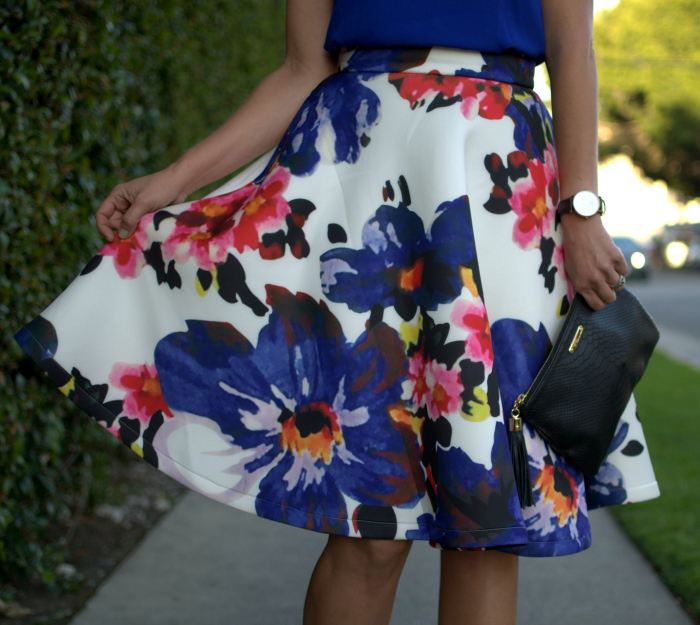 This skirt is sold out, but I linked to a couple faves below from Chicwish. They seriously have the BEST skirts ever!! I may or may not own at least FIVE!! P.P.S. Thank you Molly for taking these pics. I still can't believe we finally hugged in real life after all these years!! I am packing up for a quick trip to Los Angeles. Of course, I am doing it last minute, in between dinner, homework, baths, bedtime and blogging. I swear, you would think I would have learned my lesson by now. Some things will never change. Since my mind is a little all over the place and I have to catch a flight, today is just going be about this boho inspired outfit that might be one of my favorites. Sometimes I wonder if this style is too "young" for me, but I keep gravitating towards it. Maybe it's just me yearning to be a free-spirit and not stress so much about every detail going on in life. Anyway, I wore this macrame trimmed top last week for the Eagles concert. I styled it with my cowboy boots and skinny jeans and posted a "selfie" on Instagram. 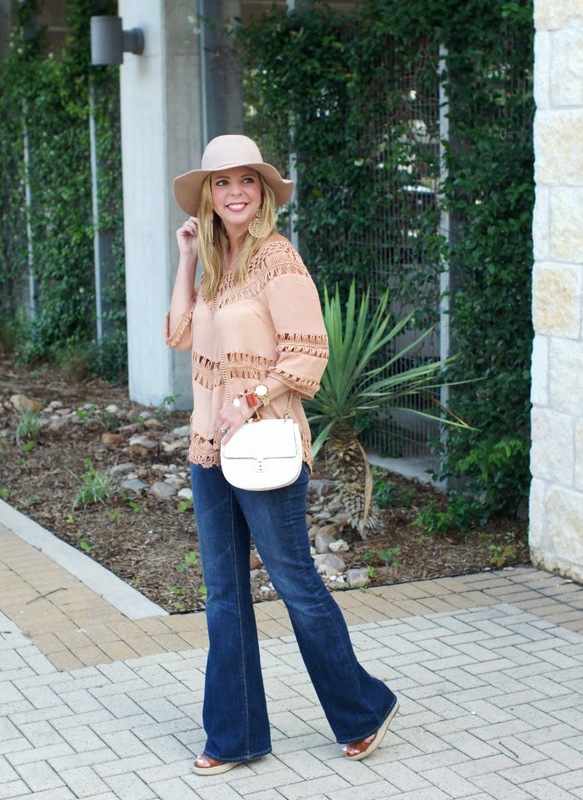 This time around, I paired my favorite flare denim, wedges and floppy hat for more of a boho vibe. I will be somewhat out of pocket for the next few days. Please know that I see and read every single comment on both my blog and social media accounts. I am sorry if I am unable to respond or answer emails. 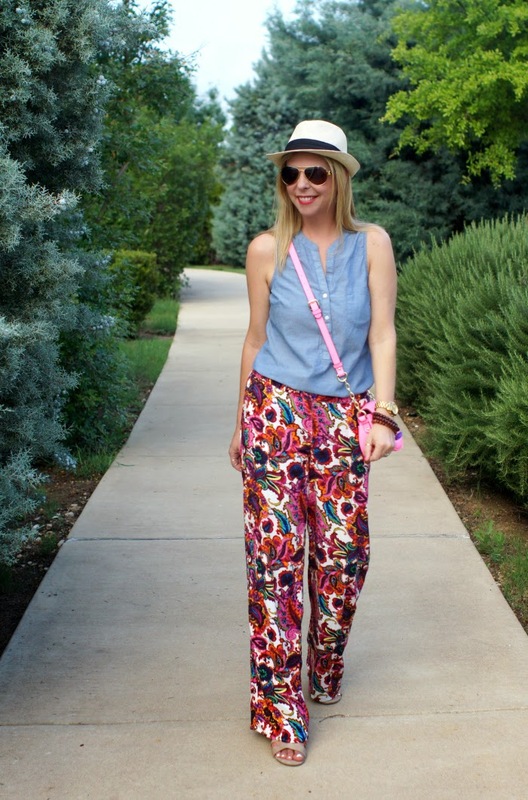 Thank you so much for stopping by and linking up! P.S. My old URL www.becauseshannasaidso.com is MINE again!! After many tears and undying determination, it's back in my possession. The new domain that was updated when all the mess happened will stay the same, but if you search for my old one you should be redirected. If not, it should update soon. Yay!! Thank you Lisette for all your help!! If you need a web designer, she is your girl! She is pretty much a genius when it comes to all the behind the scenes technical jargon. 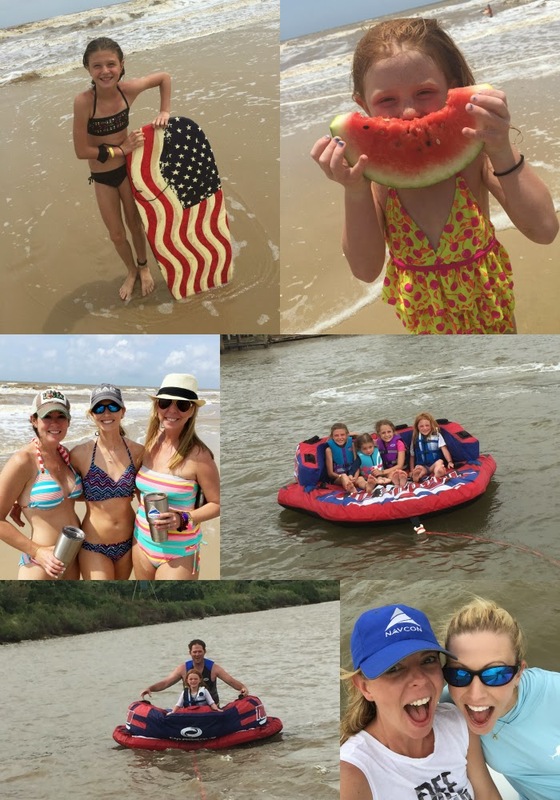 Memorial Day weekend festivities started for me yesterday. I am all about a little pre-party! :) We are hanging out on the coast with friends and family. 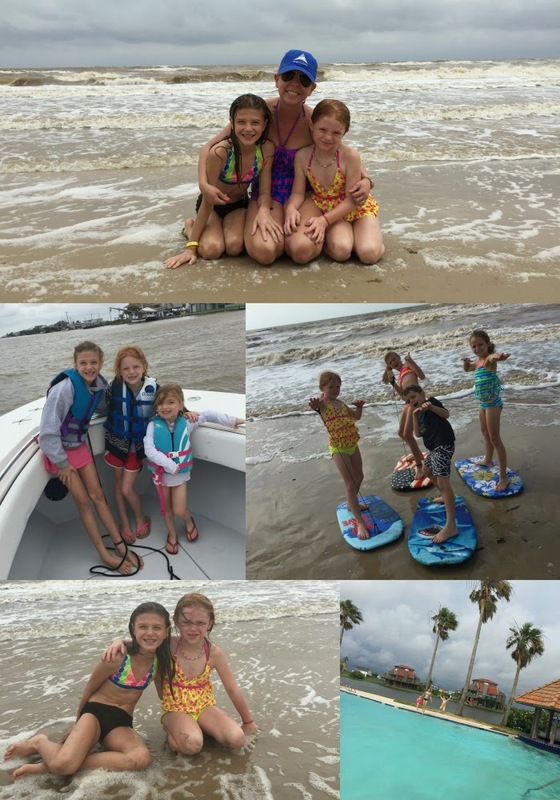 Think beach, boats and bikinis...okay, maybe I will leave the bikinis for my girls to wear. Ha! I am just hoping the rain will hold off. We literally have gotten rain almost every single day for almost two weeks. Fingers and toes crossed we see some sort of sun. I wore this Anthropologie shirt dress yesterday while running last minute errands for our little getaway. Funny story about it...I was out and about a few weekends ago and saw a lady wearing this exact dress. I walked up to her, complimented her outfit and then immediately asked where she got it. Sometimes shopping off strangers is the way to go. Obviously, I ended up getting one for myself. You guys, it's so comfy, light, loose, has pockets and comes with a detachable slip dress. It is also available in another print. I will say it runs big. I ended up getting an XS, so I would size down if you are interested in grabbing one for yourself. P.S. Don't forget about the Nordstrom Half Yearly sale going on now. 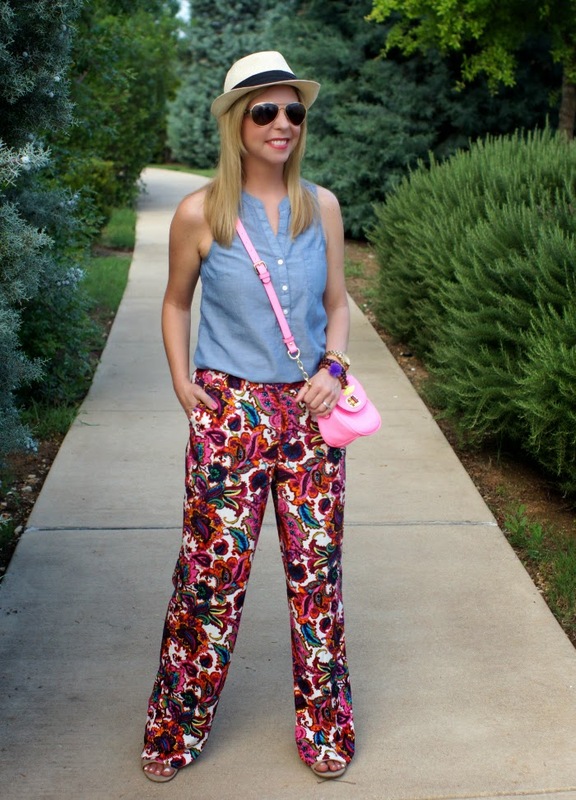 I rounded up some favorites in yesterday's post...in case you missed it. P.P.S. There are a ton of amazing sales going on this weekend. Many have already started. 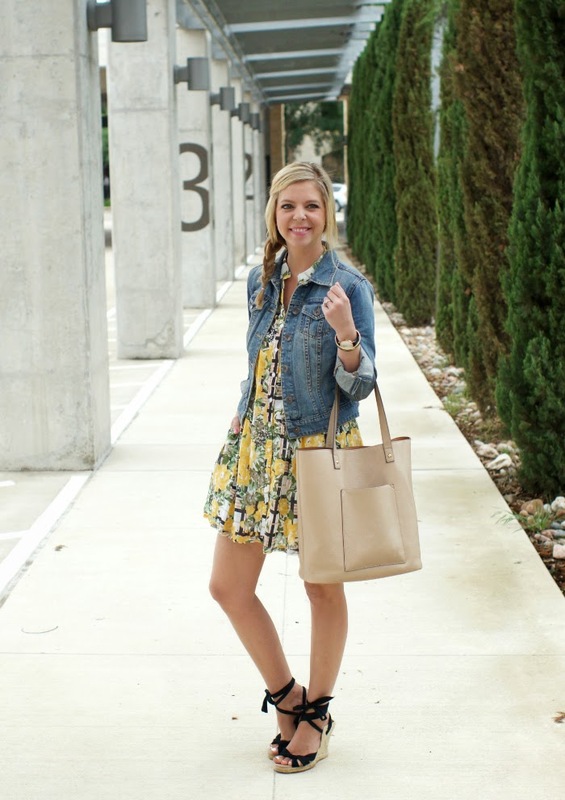 I listed a few of my favorite places to shop along with their promotions. Happy shopping! Old Navy - EVERYTHING is on sale! J.Crew Factory - 50% off EVERYTHING! Sole Society - Up to 50% off shoes, bags and accessories. The Nordstrom Half Yearly sale is one of the best opportunities to grab items you've had your eye on that might be considered a "splurge" purchase, like a designer handbag, a fun pair of shoes, quality sunglasses or a new watch. It's also a great time to stock up on seasonal wear. 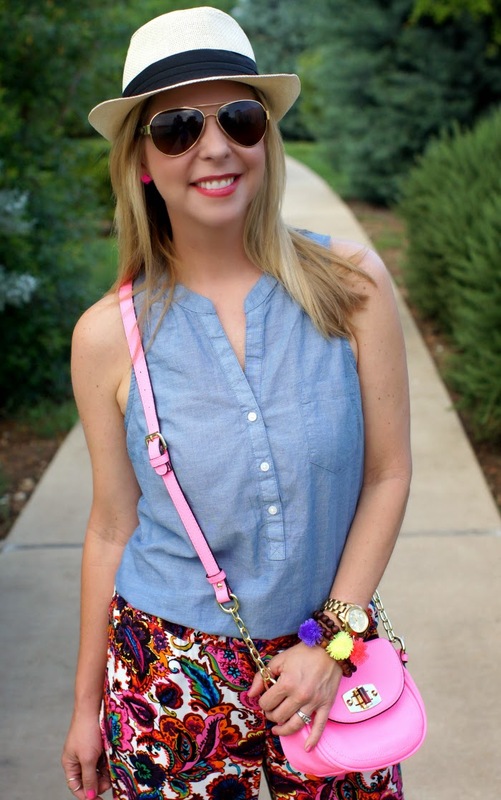 I found so many super cute and affordable items that I want to add to my closet. 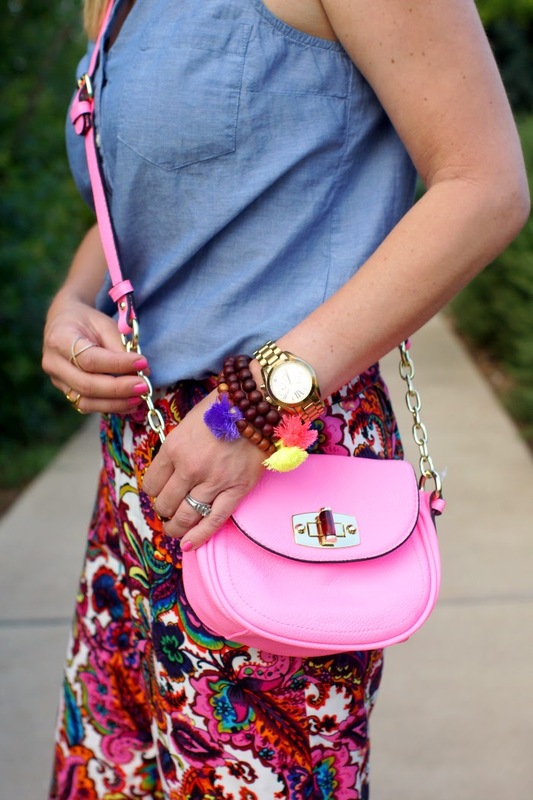 This fringe bag, pair of shorts and paisley tank ranked highest on my wish list. I have also been eyeing this Kendra Scott bracelet, but can't decide which color to get...for the price, maybe all four! And can I tell you how long I have been lusting over these espadrilles? The sale is going on now and lasts through May 31st. Most sale items are 40% off and sizes are going fast on more popular items. Don't wait until the last minute or your favorites might be gone. It already happened to me on two pieces I was hoping to purchase and the sale JUST started yesterday. 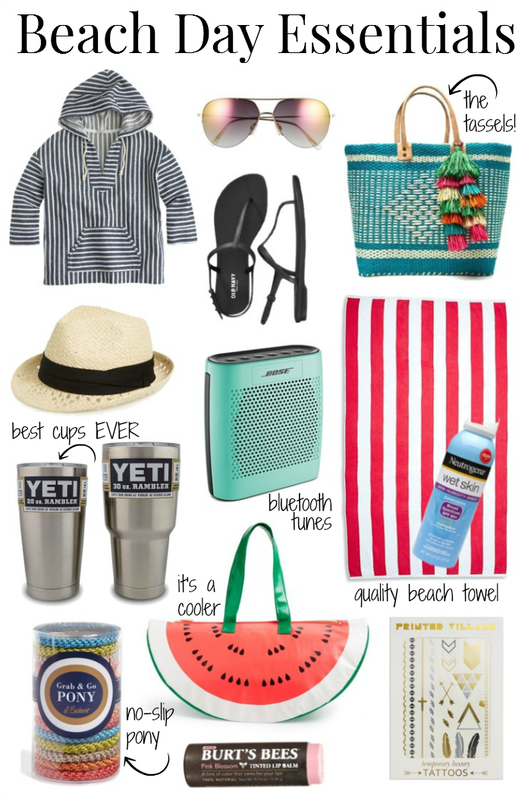 Below are a few personal favorites or items that I thought you guys might enjoy as well...lots of summer staples like a fedora (less than $10! ), beaded tote, Michael Kors watch and cognac wedges (that will go with almost everything!). Happy shopping! Let's just say that I had more to say today, but I got a call from Ross late yesterday afternoon telling me that I needed to find a sitter for our girls because we got last minute tickets from a friend to go see the EAGLES!! I am not gonna lie, I almost wet my pants. They are a band I grew up listening to and have so many memories associated with their music. Don Henley has a piece of my heart. I wore this outfit on Monday for dinner with the family and for an ice cream date with one of Logan's teachers that recently moved away. It was perfect for the "after rain" weather as things cooled down a bit. 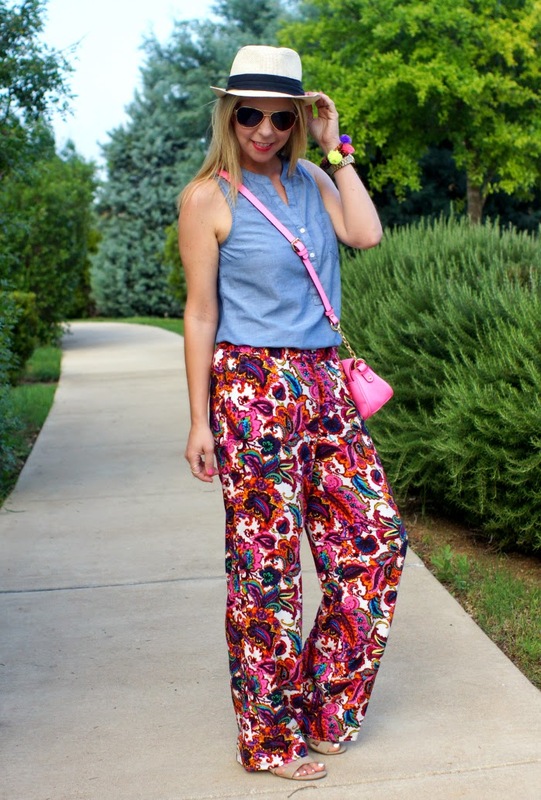 I must admit that I might be a little obsessed with printed pants....especially when they are bright, wide legged and have pockets. 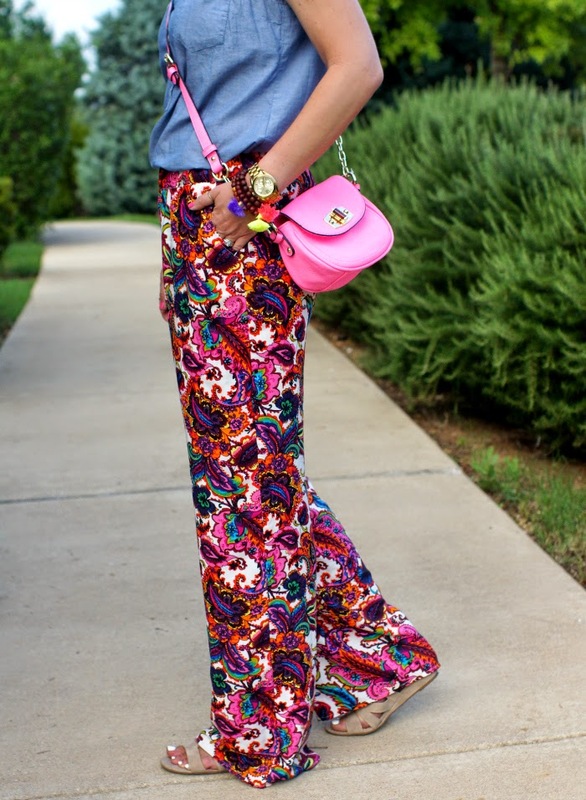 These paisley pants aren't online at Target yet, but I linked to a few similar ones I would love to add to my closet. A few things that are still available online are these Accessory Concierge wood bead tassel bracelets that come in TEN colors!! They are only $14! 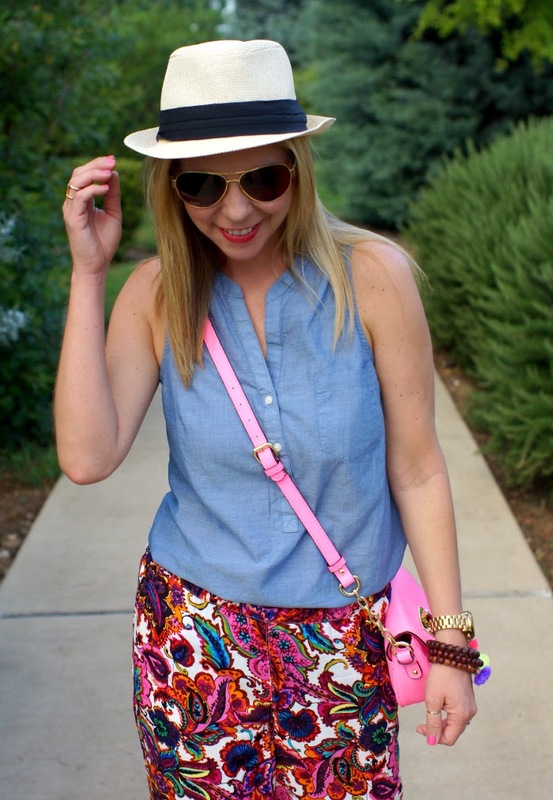 So fun & perfect for the Summer! 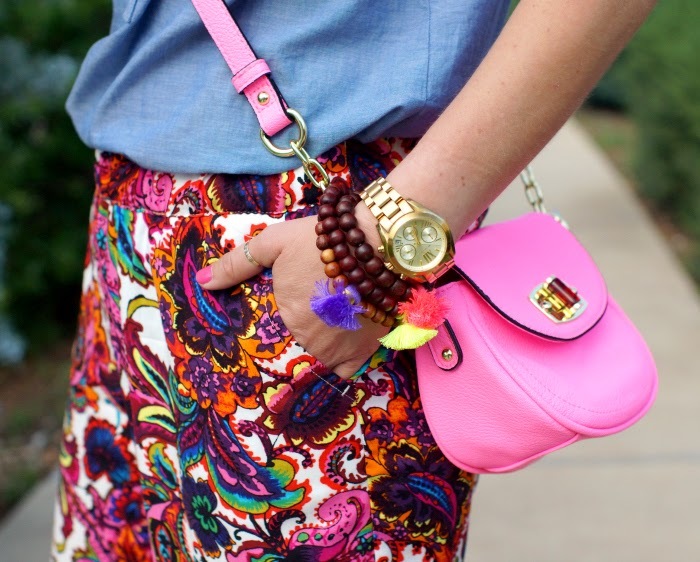 Welcome back, arm parties!! Nice to see ya again! Don't be surprised if you see them on repeat. 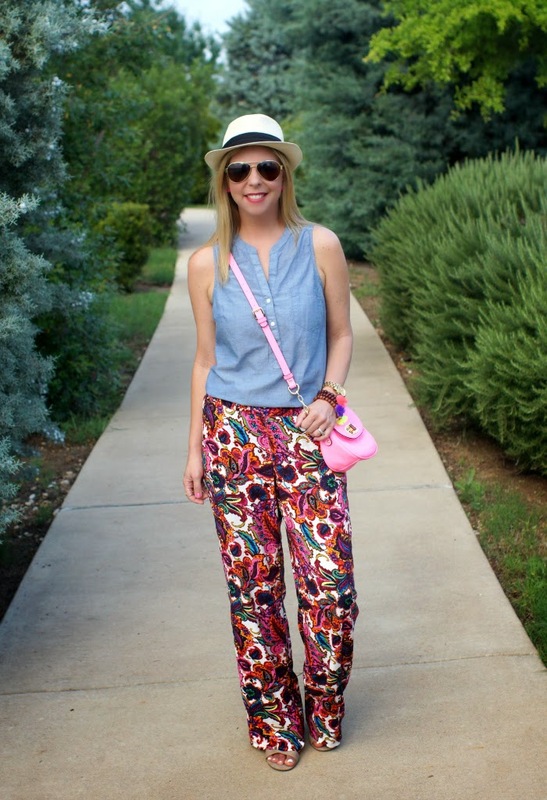 Wide leg jumpsuits are a summer favorite. They are simple to style for relaxed days or dressed up for a night out because they truly make their own statement and do not require many accessories. I have been gravitating to tribal prints lately and when I saw this one-piece at Anthropologie, I quickly added it to my cart during their Mother's Day 20% off sale. 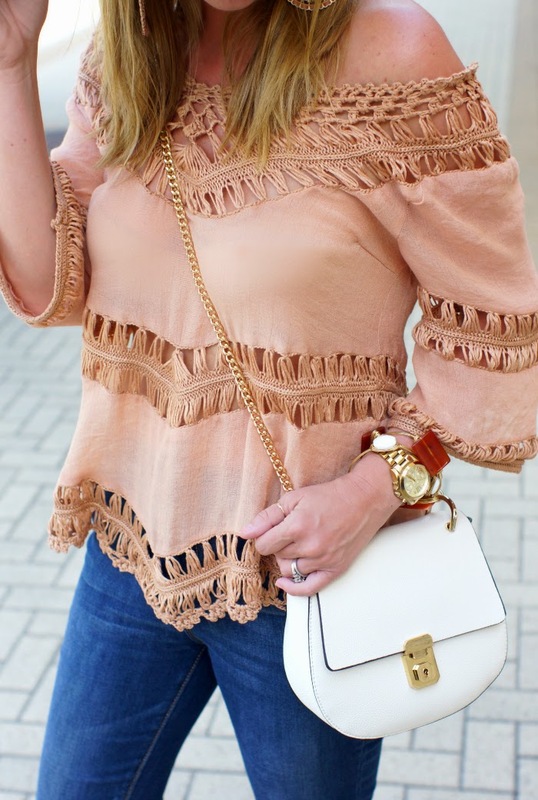 I also scooped up this flutter top in yellow and can't wait to style it soon. They only have a few sizes left in this jumpsuit. I purchased a size 6 and feel like it runs true to size. I especially love the back. It added a little bit of sexiness to the mix (Ross was a fan...smiley face), but covered enough to stay classy and sophisticated. Sometimes I forget to check Anthropologie's online store, but recently bookmarked it because, oh my word, they have the CUTEST styles for the upcoming season. I linked some of my sale favorites below. If you stay consistent with visiting, many items go on sale rather quickly. I hope you guys had a great weekend. We have been getting a TON of rain lately. 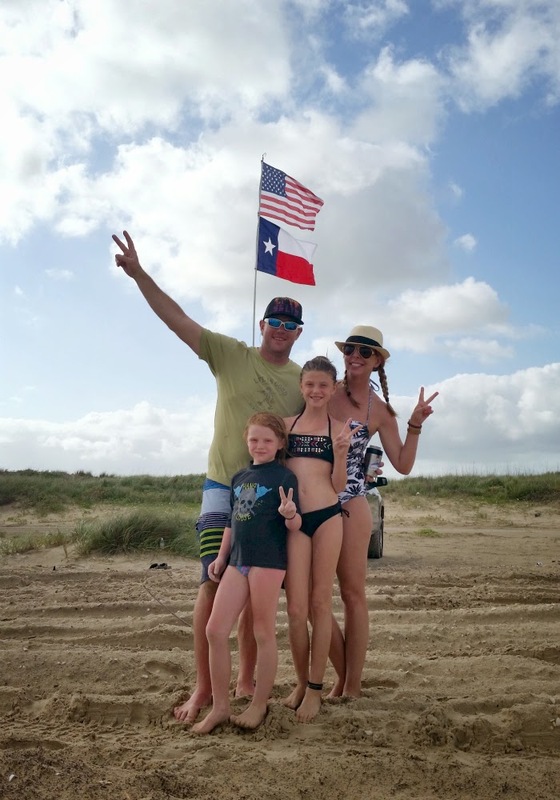 Luckily, the skies cleared on Saturday for our 5th annual crawfish boil and for Logan (our oldest) to finish off her championship volleyball season. 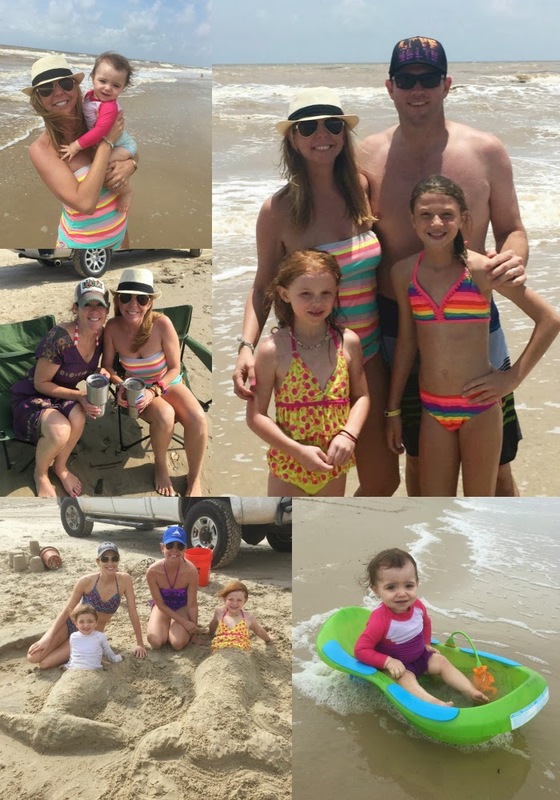 Another amazing weekend with friends and family...feeling so blessed. The month of May started off a little bumpy, but I KNOW we are going to finish off the last part with a beautiful bang. SO READY FOR SUMMER BREAK!